Though T-mobile had not yet announced any specific dates on when the myTouch 4G Slide will be released in the market, few of its features have been revealed. 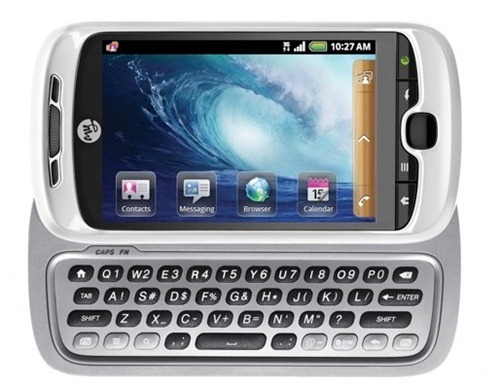 The four-row sliding keyboard is believed to be really good and the phone itself works fast. The myTouch 4G Slide is often compared to the keyboard of the outgoing G2, since they have similarities in terms of feel. The only difference is that the myTouch is heavier than the G2, thus making users feel it on their hands. Moreover, the new MyTouch 4G Slide is expected to have more fame than the G2 or the myTouch 3G Slide. A dual-core 1.2GHz processor will be present in this upcoming myTouch. It also has an 8-megapixel camera with auto-focus on the back. There are buzzes around stating that this new Android phone will be launched by T-mobile in the first half of July, and will have the price of $200 on contract. The official release of myTouch 4G Slide might be announced very soon. So stay connected with All We Like to keep yourself updated on this latest Android phone from T-mobile. What's Cooking for Android 3.0?